Healthcare marketing and advertising has changed. There was a time when every marketing and ad problem was solved with a short, 30-second commercial on Prime Time TV, followed by perhaps a print ad in a local newspaper. The consumer was gripped by the advertisement and gave your business a call or purchased your product. While many forms of traditional marketing and advertising are still effective, the rub comes in when you consider what happens after the ad has run. That’s where Quaintise healthcare marketing expertise comes into the picture. Not too long ago, the 30-second TV ad was all you needed to boost your patient base. It was effective, and in all reality your audience did not expect anything more. That was then. And back then, TV advertising was the best way to reach the most people with the broadest message. However, as the market changes, so does patient and consumer expectations. Today, that 30-second TV ad better run simultaneously with an integrated online campaign that utilizes social media, Youtube, user generated media, blogs, and Real-Time marketing. 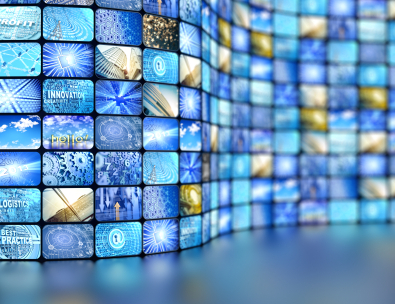 In order to run an effective TV ad in today’s digitally driven marketing atmosphere, you’ll need to define your mission, your overall strategy for success. As mentioned above, your 30-second TV ad absolutely must be accompanied by social media marketing, content marketing, and digital advertising. The greatest TV ads in the past few years have consistently been accompanied by strong digital campaigns (Old Spice, Dos Equis, Dove Real Beauty Sketches) including a strong focus on social media and user engagement. I pulled the above quote from Greg Satell on Forbes.com because it is imperative that doctors, specialists and every agency in healthcare marketing truly understand and appreciate what Mr. Satell is trying to say. An additional aspect of successful TV advertising is not only digital engagement and community, but also emotional engagement. Your patients have higher expectations for marketing and advertising. They not only want to be clutched by your TV ad, they want to see transparency and engagement in the digital realm, and they want that engagement to involve their own inner circles. Television advertising is certainly not dead in the healthcare marketing realm for local physicians and specialists, but the strategies have changed. Let the team at Quaintise get you started.